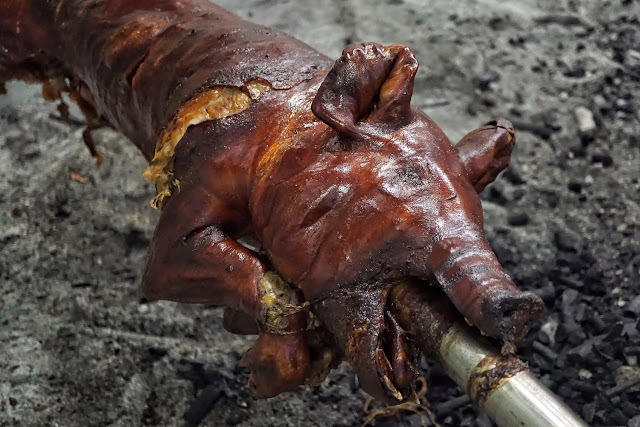 Cebu has been known as the city where one can get great lechon. 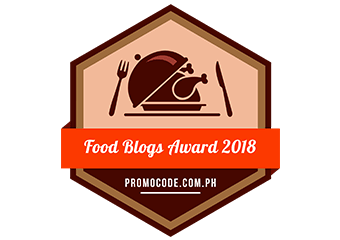 And with the influx of several lechon brands and restaurants, only the best stood the test of time. 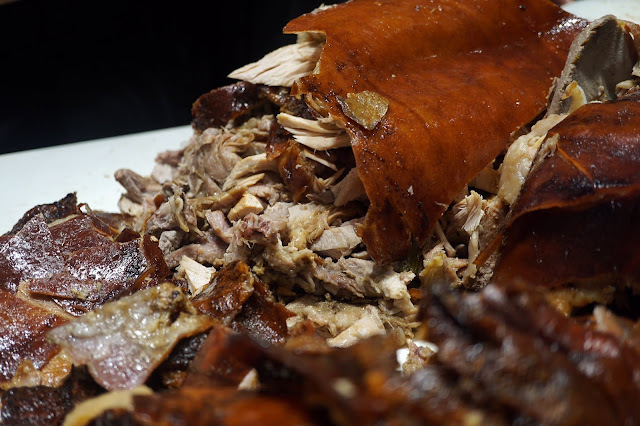 One of which is Rico's Lechon. I would always visit Rico's Lechon whenever I'm in Cebu. 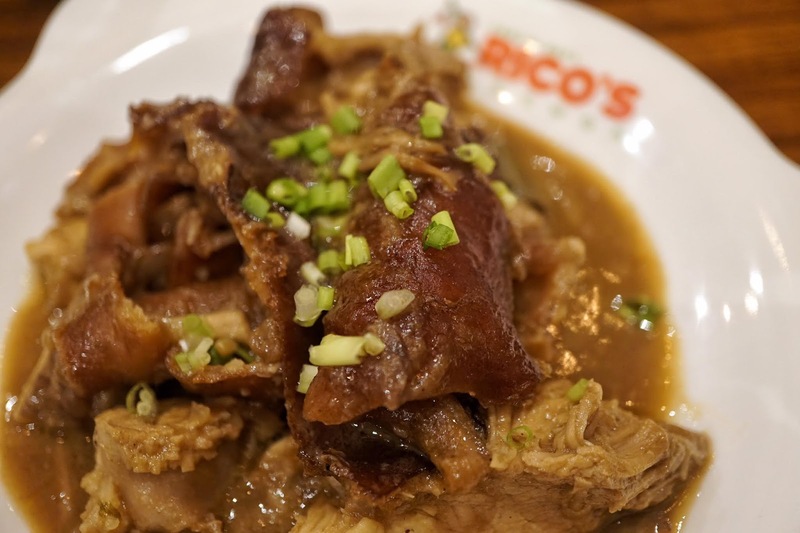 Despite having low tolerance for spicy food, I could not resist myself from ordering its spicy lechon, a dish Rico's Lechon started. Each bite of the spiced roast pig never fail to tickle my taste buds. 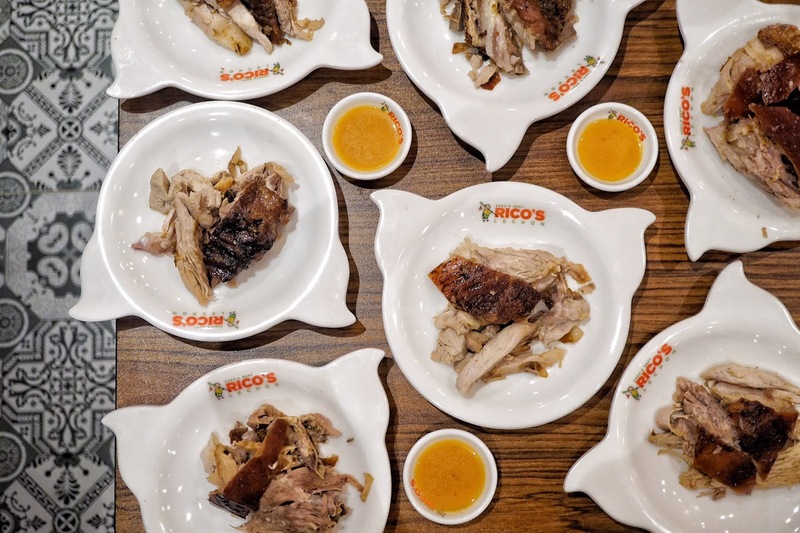 And I was thrilled when I found out that Rico's Lechon is finally opening in Manila. 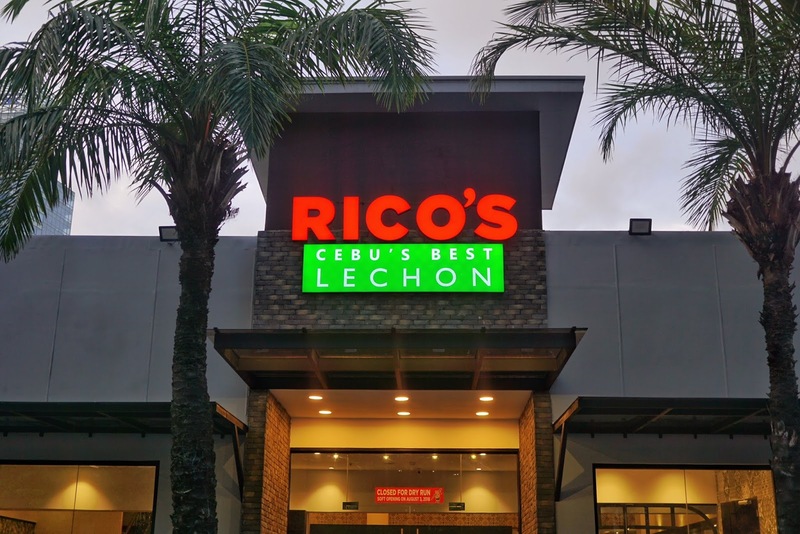 Located at the famous night life area Fort Strip, it would be hard to miss Rico's Lechon with its bright red signage. There's also a huge pig signage at the corner of the establishment. 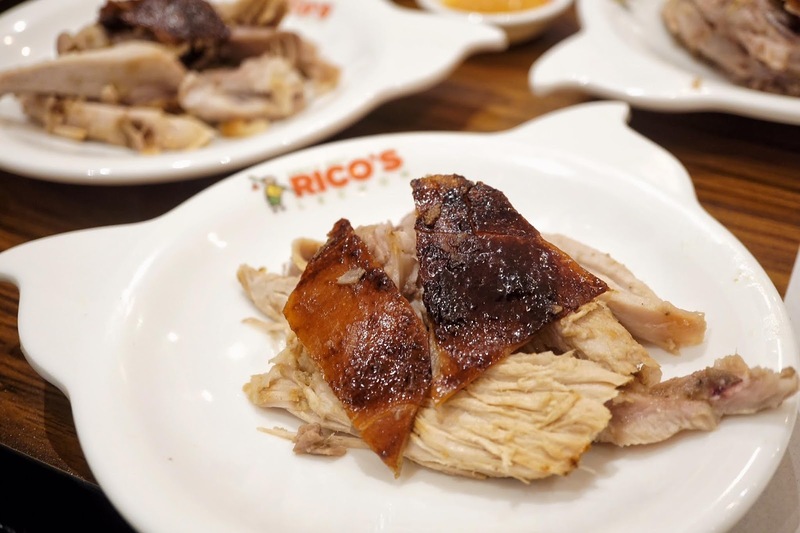 I was lucky to have been invited to its VIP night last July 30 where we got to sample some of the dishes Rico's Lechon offers. Awed at its huge space, Rico's Lechon BGC can fit in 180 guests. There is also a mini function room on the second floor which could comfortably sit 8-10 guests. 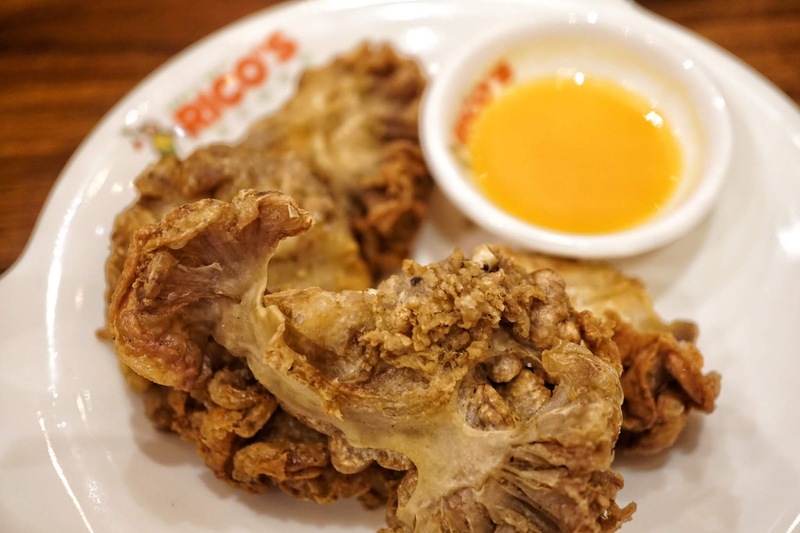 For this tasting, we sampled regular Rico's Lechon, Chicharon Bulaklak (PHP180), Lechon Humba (PHP360), Lechon Paksiw (PHP320), Sizzling Squid (PHP320), Monggos (PHP190), Grilled Liempo (PHP220), Tuna Belly (PHP380), Adobong Kangkong (PHP180), Eggplant Salad (PHP140), Bam-I (PHP280), Pandan Rice (PHP35/solo | PHP130/platter) and Oreo Mango Float (PHP180). 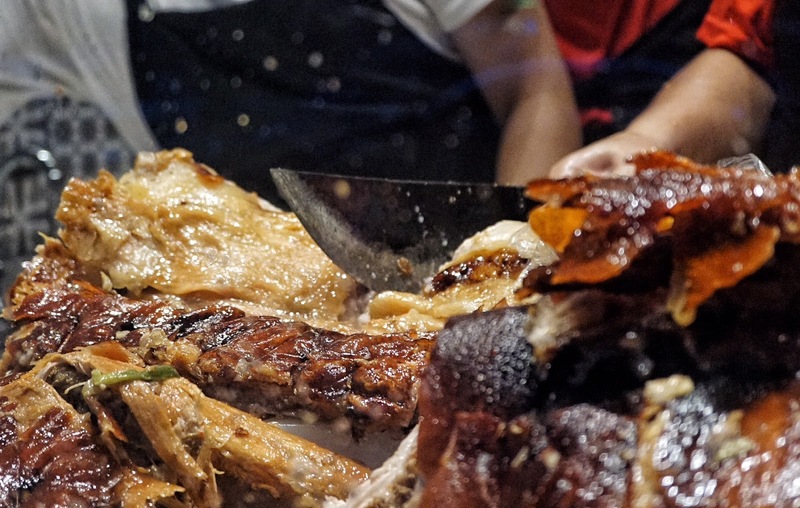 One thing I love about Rico's Lechon is that you wouldn't even look for sauce to enjoy its roast pig. 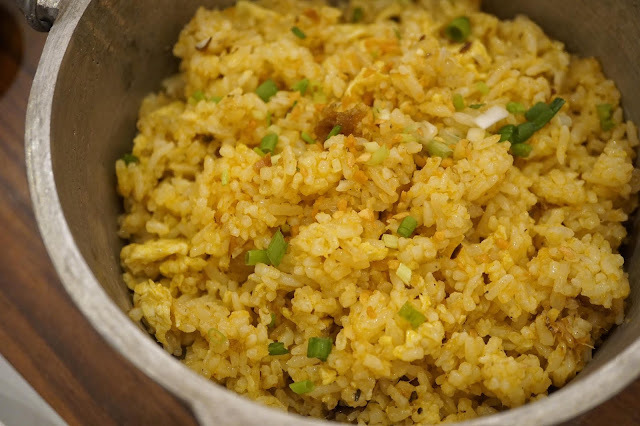 Flavorful on its own, all you need would be a big serving of rice to eat it with. 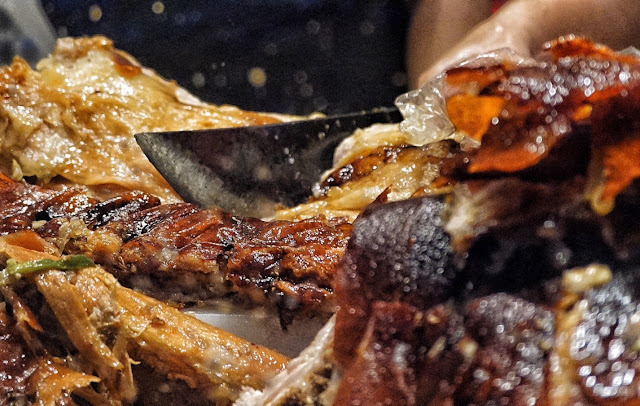 Succulent and tender meat with crispy skin to match, it's no wonder why Rico's Lechon is always packed in Cebu. I love Chicharon Bulaklak but I fell even more in love with this sinful beer chow when I had a bite of Rico's Lechon. 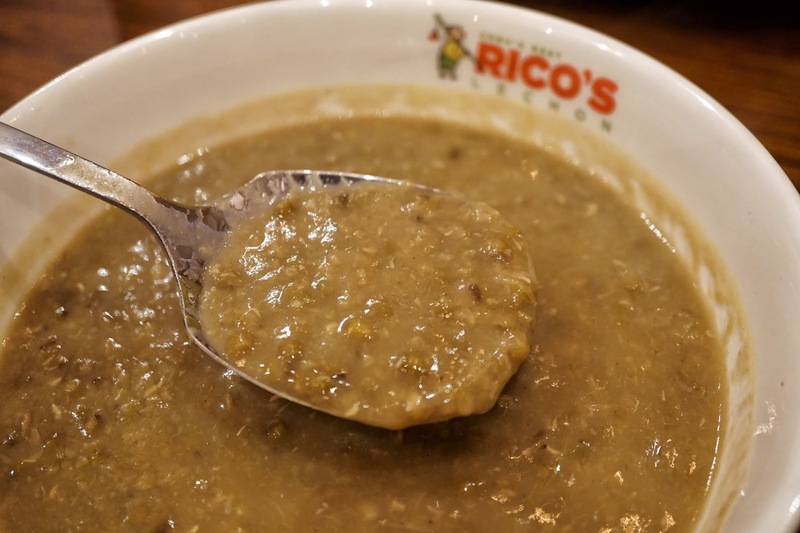 Monggo is a staple in our household especially during Lent when we have this on Fridays. I'm not exactly sure why especially when we top it off with chicharon on some days. And this bowl here was a nice break to the lechon we feasted on that night. It was your straightforward thick grainy soup. No frills, 100% goodness. 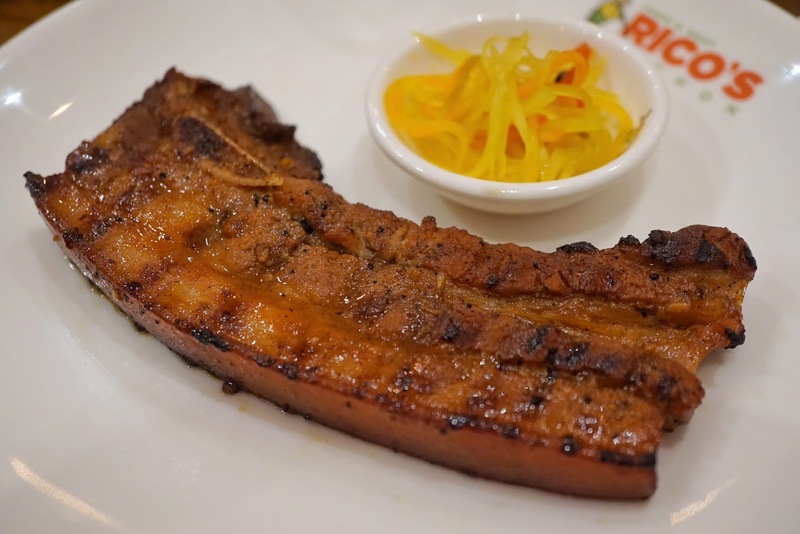 If you prefer to enjoy your lechon less crispy but extra flavorful, do try Lechon Humba or Lechon Paksiw. The only difference between the two is that the former has a sweeter taste while the latter is slightly tangy. 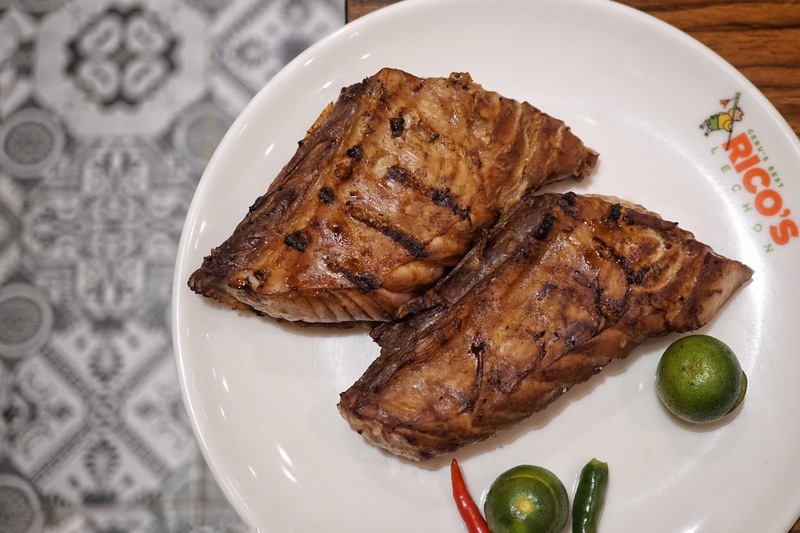 Grilled Liempo was quite tough to slice but surprisingly tender to bite. Its smokey taste goes very well with the delicious vinegar and soy sauce dip. 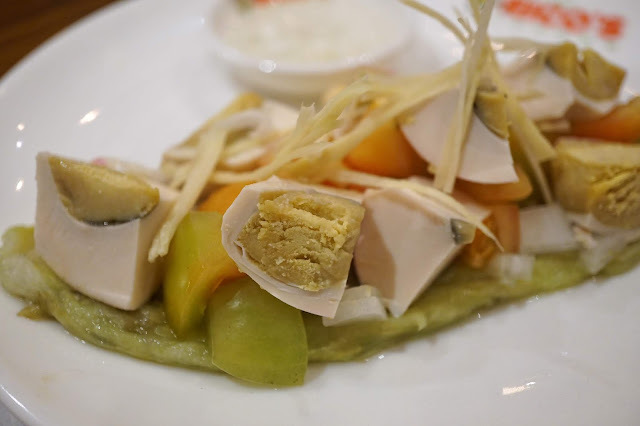 Another healthier alternative dish worth trying is eggplant salad topped with salted egg chunks. Light in flavor, it serves as a nice starter to whet the appetite or have it as palate cleanser. 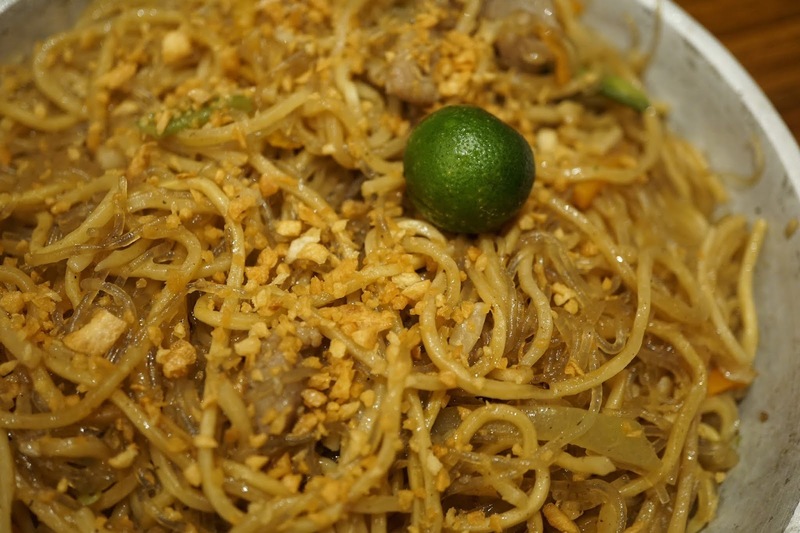 And if you happen to be at Rico's for an afternoon snack, do try Bam-I (also known as Pancit Bisaya), a combination of sotanghon and pancit canton. 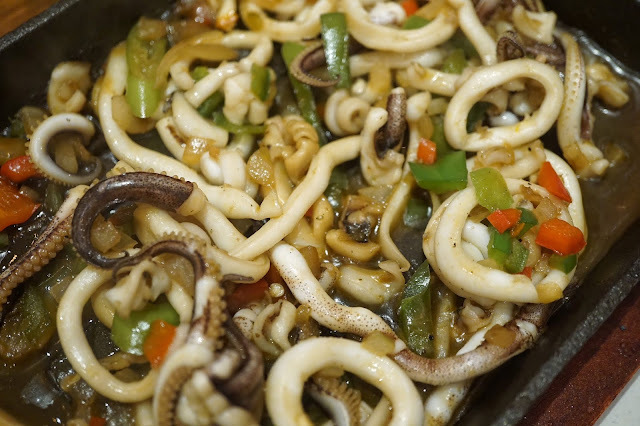 The different noodles give this dish a more interesting texture. Drizzle it with some calamansi sauce for a nice contrast of flavor. Tuna Belly and Sizzling Squid were pretty good too. 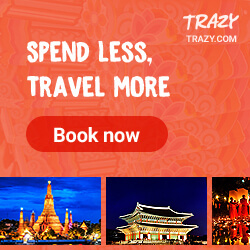 But if you're in a budget, skip these ones and stick with having more lechon! And pair it with the fragrant pandan rice! 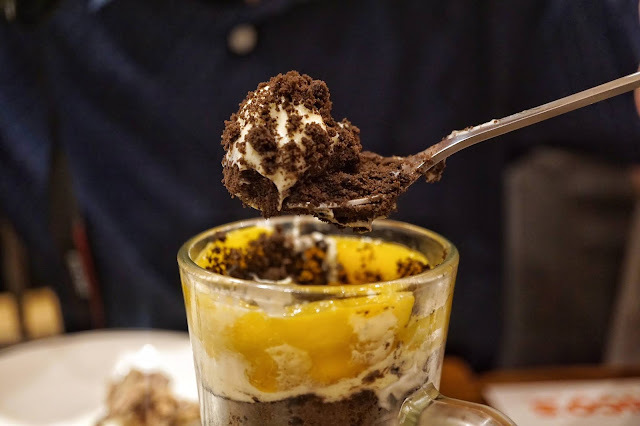 To cap our meal, we all had Oreo Mango Float. 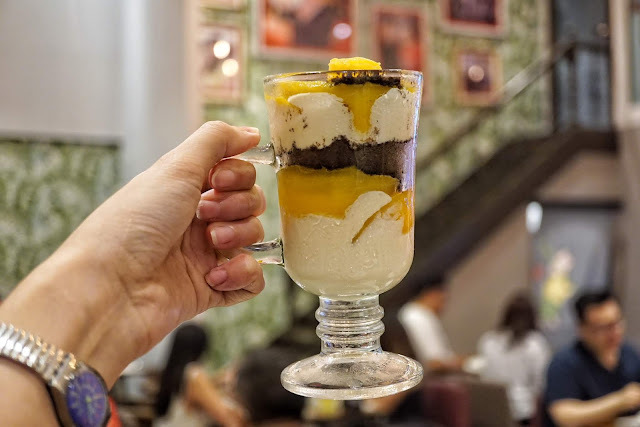 I love mango float and Rico's take on the classic dessert was great too! Instead of graham crackers, they used crushed Oreo. However, I feel that they went a bit overboard on the Oreo that each spoonful was 80% Oreo and 20% cream and mango. But I'm sure that Oreo lovers would love this. Food, as expected, was good. However, I noticed a few hiccups during our visit. Half of our orders were served after several follow ups. Though it is understandable that the staff could have been overwhelmed with the influx of guests arriving all at the same time, they could have systemized things better to avoid delays and missing orders. I have to commend everyone though for keeping those smiles the whole time we were there. 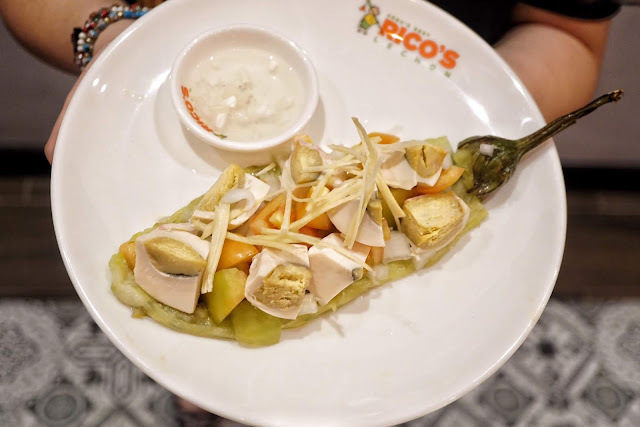 It was rather stressful even for us as the place was packed but the servers were very pleasant which in turn made the whole experience pleasant too. 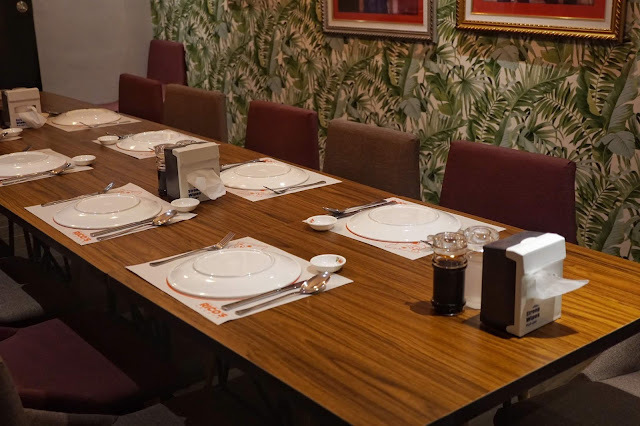 The tables and chairs are also placed a bit too close to each other making it a bit challenging for guests (and servers with trays) to go from one place to another if the restaurant is packed. If you are with elderly or PWD, best to sit near the entrance. Overall, it was still a good dining experience. Service may not be fast but everyone was very polite and I felt the sincerity to serve us well. I'll surely be back for more lechon and grab a plate of my favorite baked scallops and halo-halo shake! Rico's Lechon is located at Fort Entertainment Complex, 5th Avenue, Bonifacio Global City, Taguig.